International Energy Agency Photovoltaic Power System Programme (IEA PVPS) Publishes Its 21st “Trends in Photovoltaic Applications” Report. IEA PVPS published its 21st “Trends in Photovoltaic Applications” report on October 27th 2016. This unique report provides official and accurate data about the photovoltaic (PV) market, industry, support policies, research activities and the integration of PV into the power sector in the 24 countries reporting to the IEA PVPS Programme, plus a reliable estimate of the other most important PV markets. In a market where the main market driver remains the Feed-in Tariffs, Asia has taken the lead of PV development. Paris, France, October 27th 2016 – 2015 has been a year of renewed growth for the PV market. In total, about 50.7 GW of PV capacity were commissioned in the IEA PVPS countries and the other major markets during 2015. This raised the total installed capacity to more than 228 GW, with now more than 1.2 % of the electricity demand coming from PV. Asian countries represented the first regional market for PV for the third year in a row, with China (15.1 GW) and Japan (10.8 GW) representing again 50% of all installations in 2015. American countries progressed (USA: 7.3 GW) as well as Europe (8.6 GW) after three years of decline in a row. The most notable developments outside of the already developed markets took place in India, Honduras, Algeria and several others. The entire growth came from the utility-scale segment, while the distributed segments stagnated for the fifth year in a row. Feed-in Tariffs (FiTs) remain the dominant driver for PV market development with 60% of PV installations in 2015 having been underpinned by FiTs. However, the share of new business models, including competitive PPAs, tendered FiTs and self-consumption-driven installations stood still at 22%. In emerging markets, bids for utility-scale PV have reached record-low levels below 30 USD per MWh, dividing that number by a factor 2 in less than two years. In at least 33 countries, the annual PV contribution to electricity demand has passed the 1% mark, with Honduras at the top with 12%, followed by Italy in Germany at about 8 % and Greece above 7% The overall global PV contribution amounted to around 1.2% of the world’s electricity demand in 2015. The PV industry produced close to 63 GW of modules in 2015, with a market significantly below that level and production capacities close to 79 GW, a 9 GW increase compared to 2014. The lowest prices of modules continued to decline in 2015 and even more in 2016. System prices continued to go down as well, in all parts of the world including Europe. In addition, the global turnover of the PV market remained reached the 100 Billion USD mark, due to market growth and average price decrease, including maintenance and operation expenditures. Finally, PV has extremely rapidly become a significant source of electricity in several countries worldwide. The speed of its development comes from its unique ability to cover most market segments, from the very small individual systems for rural electrification to utility-scale power plants (today 2 GW in size). 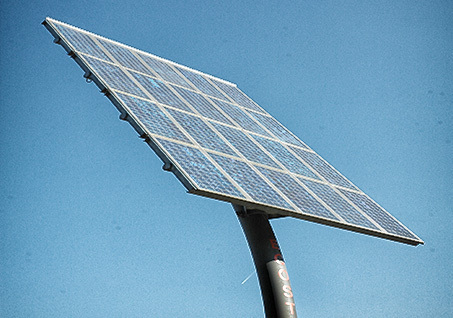 From the built environment to large ground-mounted installations, PV prevails as an energy source of choice, as a consequence of the various characteristics that make it suitable for most environments. This unique report is the 21st edition of its kind. It has been prepared by IEA PVPS Task 1 largely on the basis of National Survey Reports provided by Task 1 participating countries. The data presented in the report are official data that were validated by national governments. To obtain electronic copies of this report or information on other IEA PVPS publications please visit the IEA PVPS website www.iea-pvps.org. The IEA Photovoltaic Power Systems Programme (PVPS) is one of the technology cooperation programmes (TCP) established within the IEA and, since its establishment in 1993, the PVPS participants have been conducting a variety of joint projects in the application of photovoltaic conversion of solar energy into electricity. The 29 PVPS members are: Australia, Austria, Belgium, Canada, China, Denmark, EPIA, the European Union, Finland, France, Germany, the International Copper Alliance, Israel, Italy, Japan, Korea, Malaysia, Mexico, Netherlands, Norway, Portugal, SEIA, SEPA, Spain, Sweden, Switzerland, Thailand, Turkey, and the United States of America.